This is the first video in a series I am developing on glaze application and glazing techniques. 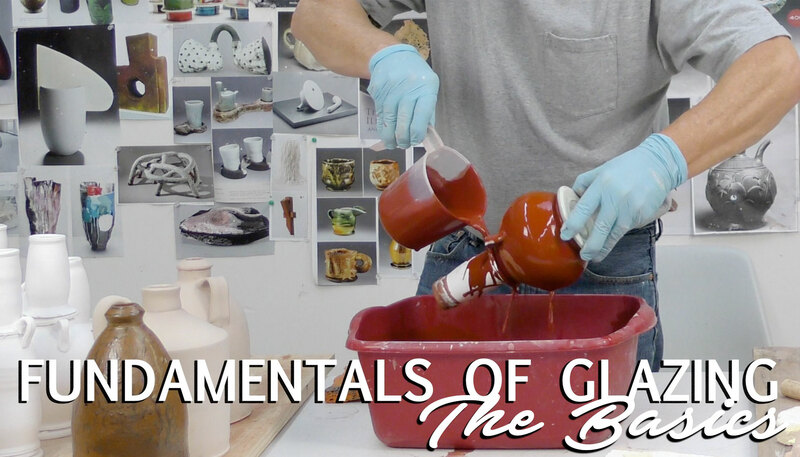 In this first video, Fundamentals of Glazing: The Basics I show various techniques like pouring, dipping, and brushing on glazes. Beyond the Basics - Tumblers, cups and yunomis. Image shows a field of cups, ready to be glazed, and a potter in the background. 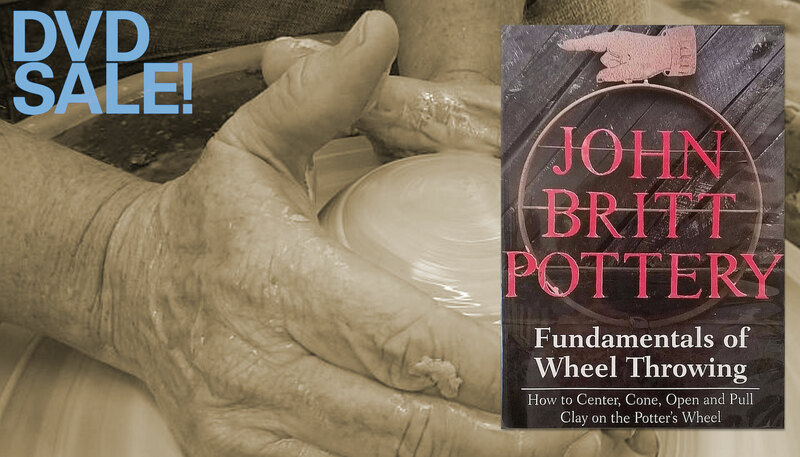 DVD-sale graphic, featuring photo of hands making pottery, and the cover art for John Britt's DVD "Fundamentals of Wheel Throwing"
Detail image of oil-spot glaze and photo of full bowl, with text. 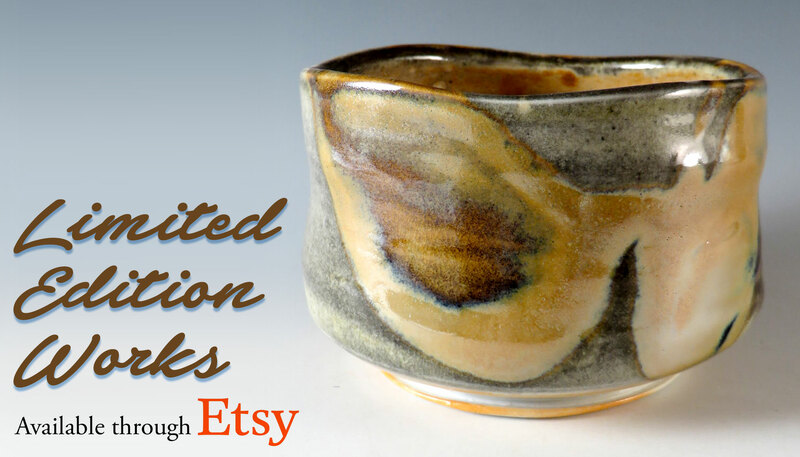 Photo of anagama fired tea bowl with the words Limited Edition Works available through Etsy. New video sale! 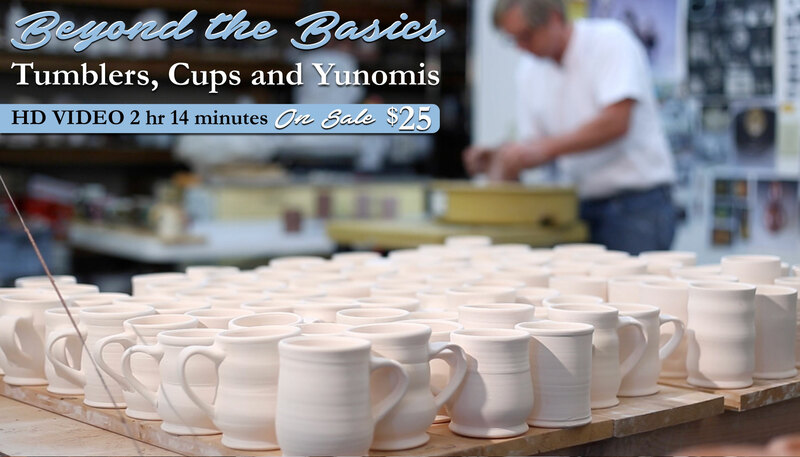 – Fundamentals of Glazing: The Basics is only $25.00, as well as Beyond the Basics: Tumblers, Cups and Yunomis, both with FREE SHIPPING (in the continental US)! Contact me about shipping overseas… It is about $15.00 to Europe! Hi. Glad you stopped by. I am a potter, educator and author whose specialty is ceramic glazes and glazing. I’ve written several books on this subject. My latest book is “The Complete Guide to Midrange Glazes: Glazing and Firing at cone 4-7“. You can order a signed copy online with FREE SHIPPING in continental U.S. by Media Mail (2-9 days). I hope it will be helpful to beginning potters who are struggling with glazes as well as more experienced potters looking to find some new inspiration. I am continually testing and exploring unusual glazes and often write articles on what I find for ceramic magazines but I also collect them into PDF’s and sell them as digital copies. Keep checking back for new ones that are in the works. 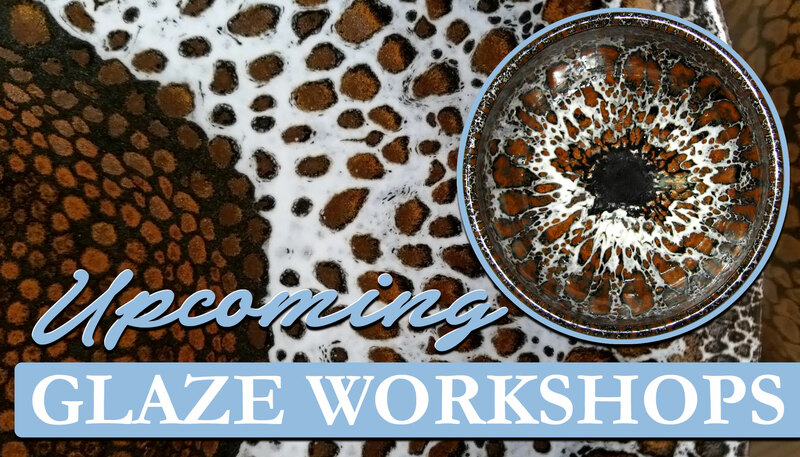 I also teach glaze workshops which are listed as they come up in the “workshops” section.